Having a swimming pool in your house backyard will add lots of fun to your summer time. It is also important to get your pool well-designed, for the better your pool design, the more values your house will have. So try to make your swimming pool stand out with unique look, covering it with custom pool mosaic is a good choice. 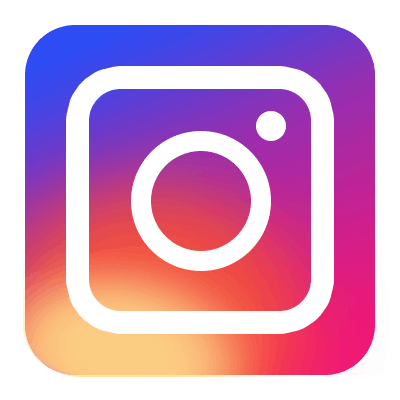 Today we are sharing several popular mosaic art for pools design, scroll down and find the pattern inspires you. The shape of marine creatures is one of the most popular mosaic art designs, it is widely used in piscine project. Dolphin design ranks top in our pool art collection for creating a lovely and lively pool space most people like, especially children love it very much. 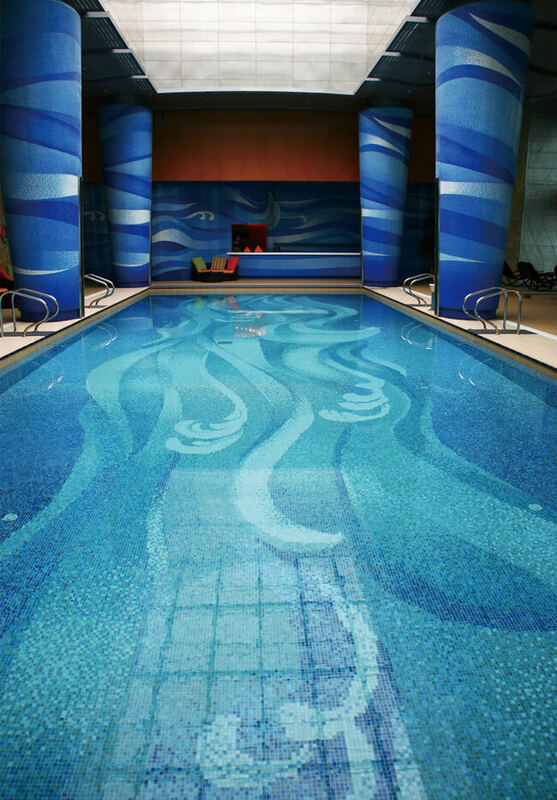 The mural is designed in the center of the swimming pool, ideal for adding a focal point to pools. 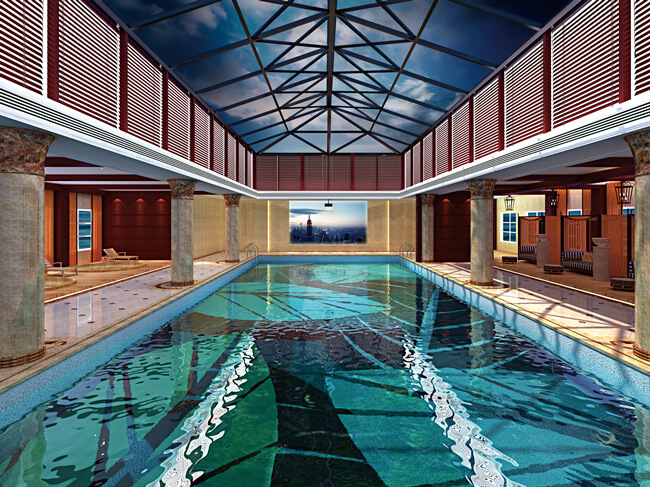 It is an unique design specially created for our client who want to install a religious style swimming pool for church. The design is full of strong personality, that means, you can create pool mosaic mural using a design of your own, the option is endless, which is only limited to what you can dream up. The mandalas design is made of iridescent glass mosaic chips, which can perfectly catch the sunlight and reflects lights and water in stunning rich colors. Using a motif of blue ocean wave will never go out of date, this design can turn your swimming pool into a blue sea. Look at our blue ocean wave pattern, the waving design can certainly make your pool dynamic and enlivened up, each mosaic chip is selected strictly to achieve the life-like look. It is really amazing to bring a natural world into any swimming pools, example like blooming flowers, trees and leaves. The image of rainforest is a great choice for structuring a tropical pool space, those big leaves makes a striking appearance to the pool’s floor. And now you can touch the feel of Hawaii! Using a custom mosaic for pool can surely make your swimming space in a designed way. There is a lot you can do with mosaic murals. 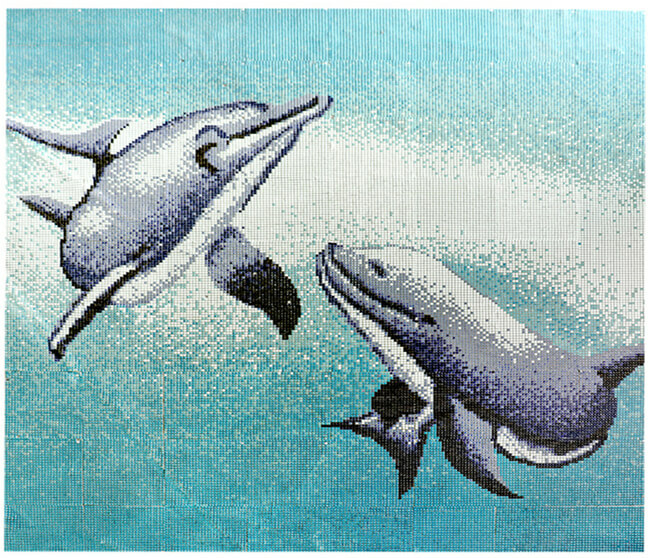 If you are ready to customized a mosaic picture for your new swimming pool project, Bluwhale Tile is the place to look. Contact us for best pricing and more details.